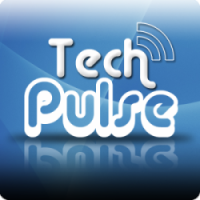 Tech Pulse Podcast: Tech Pulse 20070802: Google Galore, Apple Profits and Patches, USB vs. FireWire, IPv6, and more! Tech Pulse 20070802: Google Galore, Apple Profits and Patches, USB vs. FireWire, IPv6, and more! VNC is not secure by default; entering passwords and transmitting data insecurely over an open wireless network, or any untrusted network for that matter, is unsafe and can potentially leave your passwords and data exposed to hackers, identity thieves, etc. USB 2.0 vs Firewire 400 hard drives enclosures: Which one should I get? Which is faster? Faster with both read and write especially when transferring fewer, but larger files. Best option for best of both worlds. What is IPv6, and how does it differ from IPv4? Is there any way to disable the annoying nag message in Windows XP that incessantly prompts the user to restart after installing critical updates? Don't forget to Digg us, blog about us, and tell friends about us! Join Us LIVE on Thursday Nights!